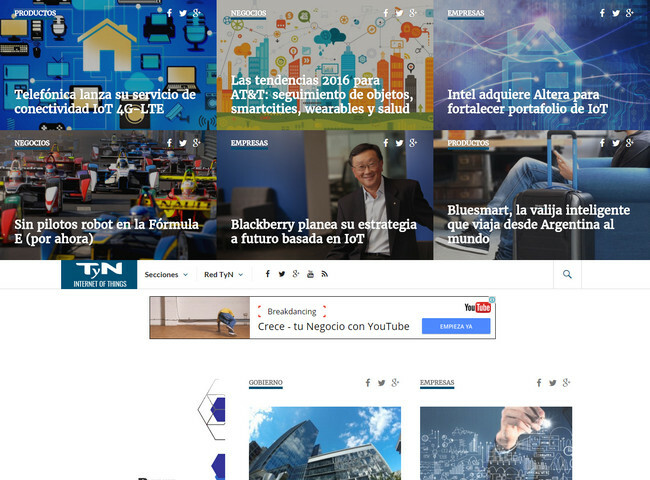 TyN Media Group leading technology news website network in Latin America, with more than 20 websites focused on the latest tech&biz's news. 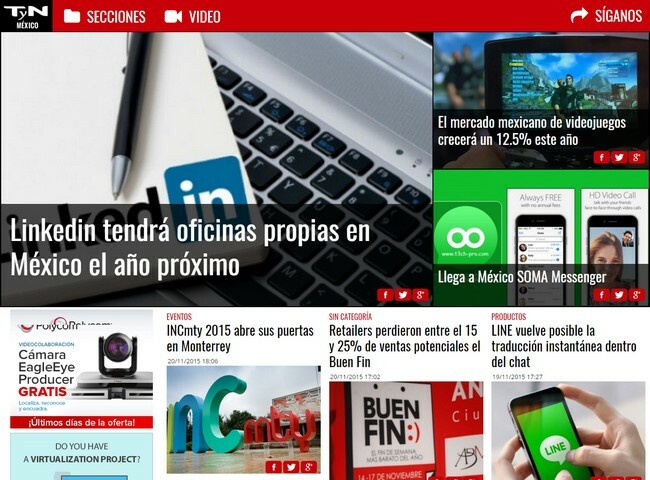 TyN Media Group is a media platform that includes 24 Technology and Business specialised sites focused on LATAM, US Hispanic and Spain. After 10 years on the market, we are proud to say that there is no other media company in the industry that gets more traffic than us. Our publications are based on verticals (themes) and countries. We recognise the importance that technology has in our daily lives so, TyN Media Group focuses on specialised topics: most important news on governments, innovation and developments which influence the economy, enterprises, small companies, students and executives. All of them with a huge desire to learn and follow where the human ingenuity will lead us. Thanks to the influence generated by the technology on our daily life, TyN Media Group interviews the best executives in the industry. Experts to show us their greatest work which is published all over our 24 sites. We are glad to generate ideas, publications and open spaces such as conferences and shows to promote education on technology and business. Transnational corporations, small businesses, students and executives. All of them with a huge desire to learn and follow where the human ingenuity will lead us. 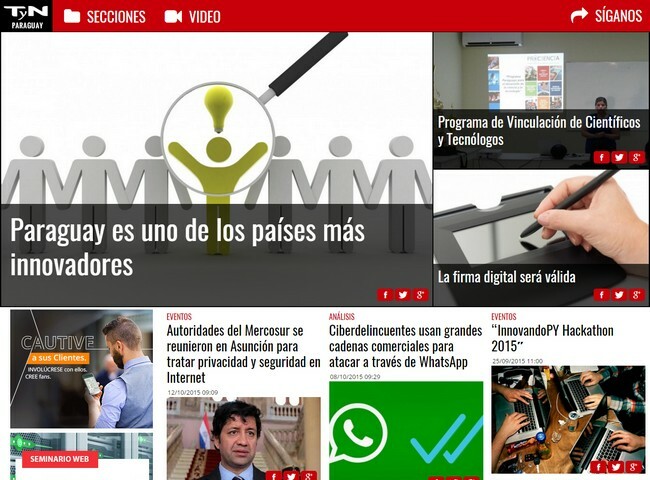 TyN Media Group offers brands a great possibility on native advertising. A great way to promote your product or service and at the same time engage the right audience, make them participate, share and even create more content from it. We can create a big variety of content to match your marketing plans and reach the sales you are looking for. Video. Text. Infographics. Photos. All the formats you need for your 4Cs. TyN Media Group offers brands a great possibility on display advertising. Classic, for some the best way to promote a product on a website. You are in charge of whatever you want to advertise. Do you want to increase traffic to your site or to sell more? both are great reasons to set a banner with in any of our 24 sites. By using different messages on your banner you can provoque curiosity and make our audience clic on your ad. The regular size 250px x 300px is what our clients use the most, however if you have other ad size, just let us know. The most important global tech trends and their influences in our daily life. Analysis. Opinion. News. 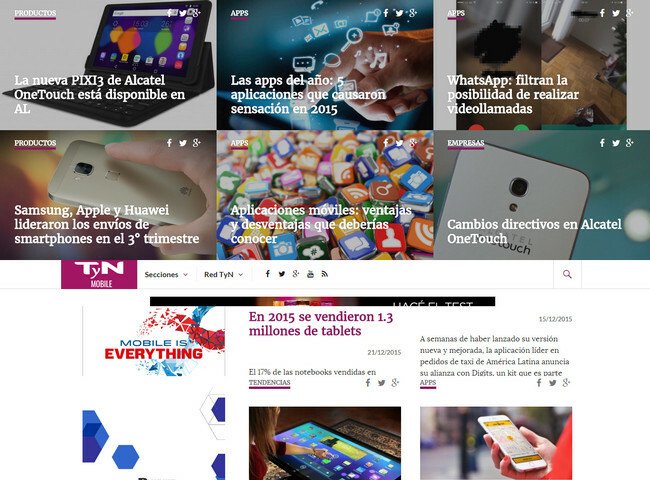 The first spanish site dedicated to the Internet of Things: Where the future is now. A window to the latest news on mobile & wireless technology. The “mobile” is where we are, everything the consumers know as mobile. Focus on regulations within different countries and world wide. All about telecommunications and its challenges. Value information to the channel. Always specific and technical aspects that matters. Analysis. Opinion. News. Business that influence.. The latest information about cloud computing and related services. Everything to understand it and where it is taking us. Technology for governments and public administrations. Law and politics, and their impact in the people. All the investments and its variables in technology. Who buys, what, when and where. 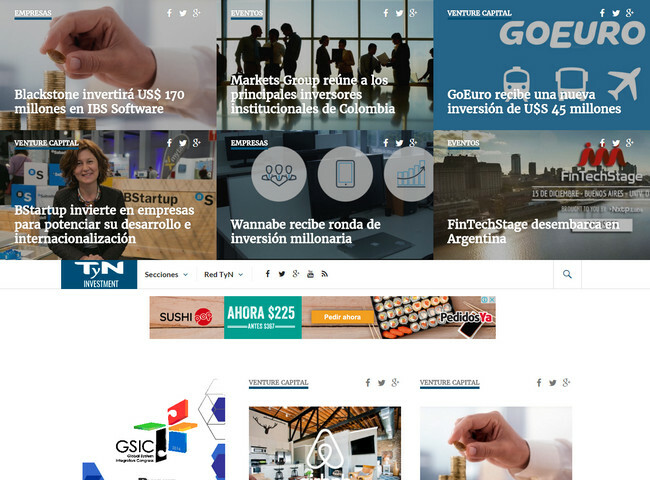 The place created for the Entrepreneurs on tech business: news to help on developments and productivity. 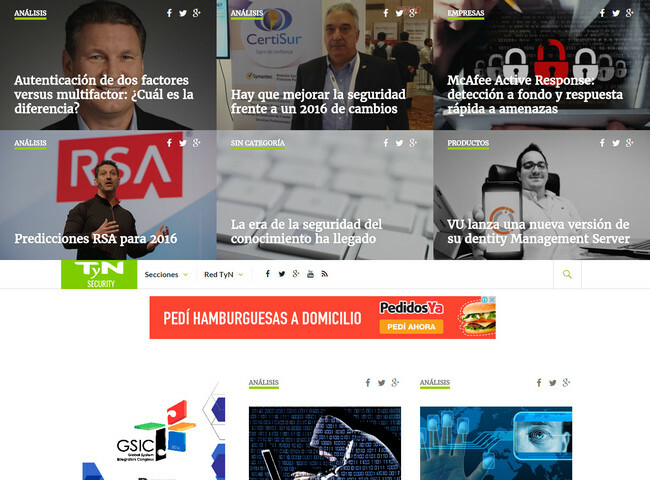 One of the most important issues in technology has its own site in TyN Media Group: Security. 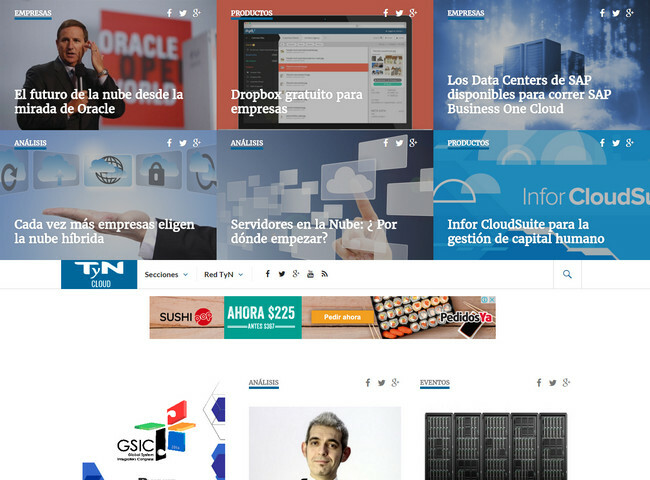 News, challenges, advances, prices and more. 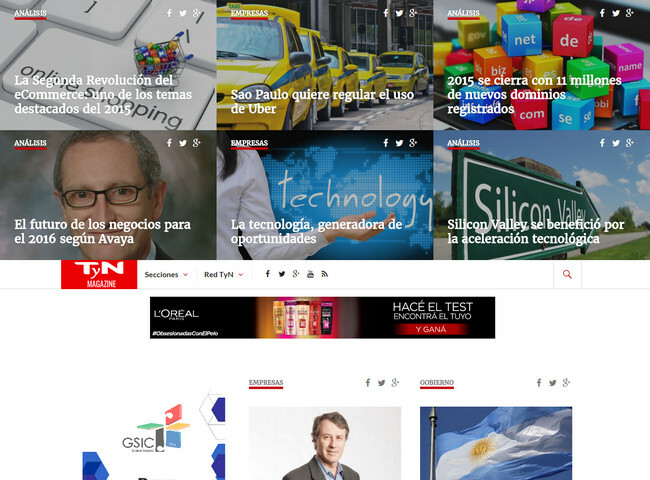 Latest news about tech&biz in Argentina. 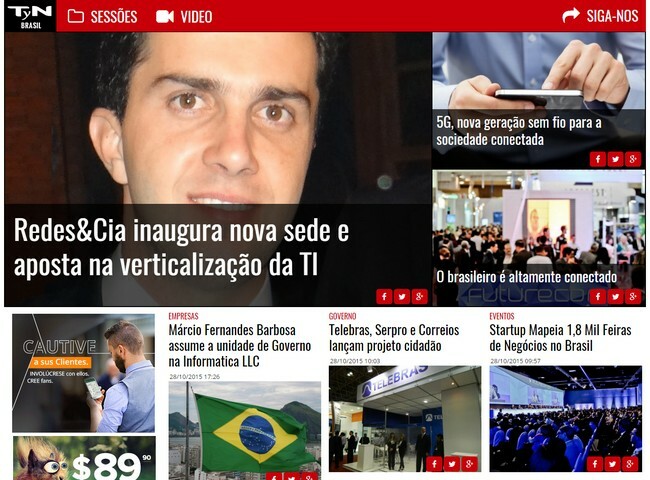 Latest news about tech&biz in Brazil. 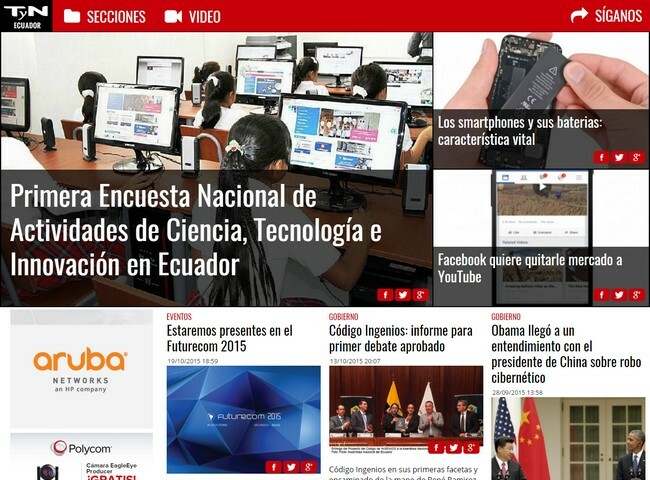 Latest news about tech&biz in Ecuador. 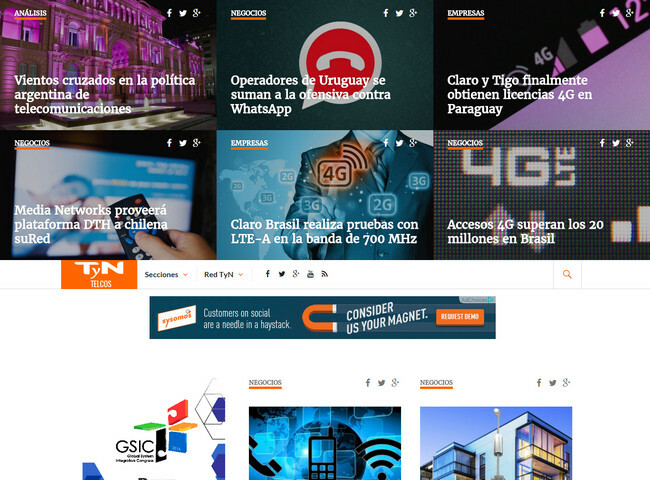 Latest news about tech&biz in Paraguay. 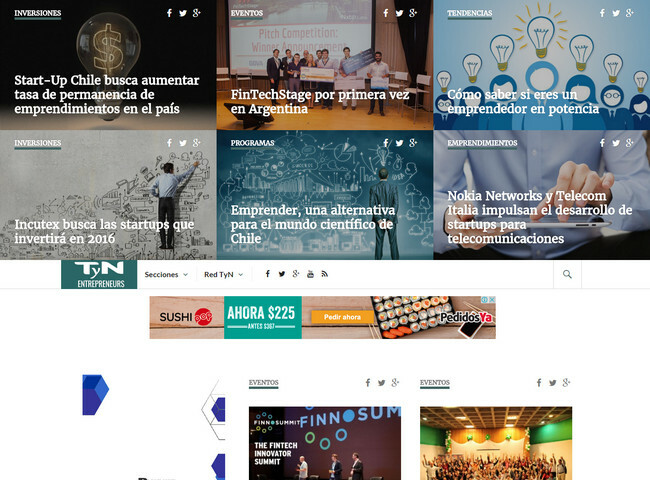 Latest news about tech&biz in Mexico. 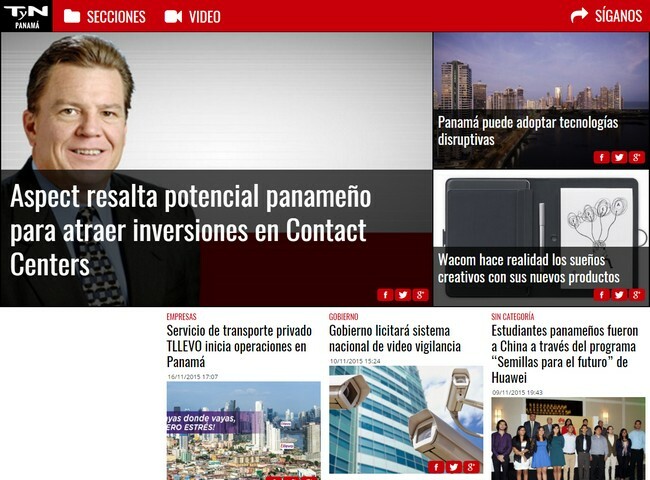 Latest news about tech&biz in Panama. 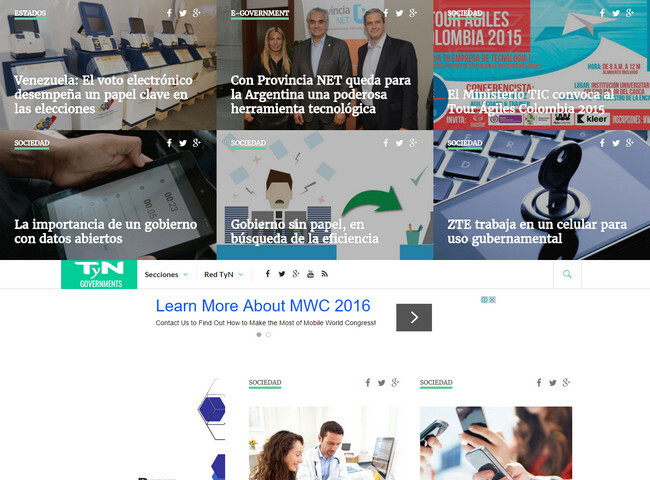 You can contact us to gain pressence in the leading tecnology news network of Latin America.